Nowadays, what is better than a good mulled-wine sipped to the sound of live music after an action-packed day in the fresh powder? Present at every corner on the mountain, the ‘après ski’ does not have to fight for its reputation anymore. But how did it cement it’s place in the everyday life and heart of the skier ? To find out, we need to go back to the 1800s. It is in Norway that the après ski makes its first cry. In the icy Scandinavian country, skiing as we currently know it did not exist yet, but was first used as a means of transportation (using a technique called “Telemark”, which combines alpine skiing and cross country skiing) in a country where snow reigns supreme. At the time skiing was quite dangerous and our brave Norwegians hastened every night to celebrate their survival against falls and hypothermia, with some Aquavit in the warmth of their homes. Easy if you think about it, you just had to stay alive! 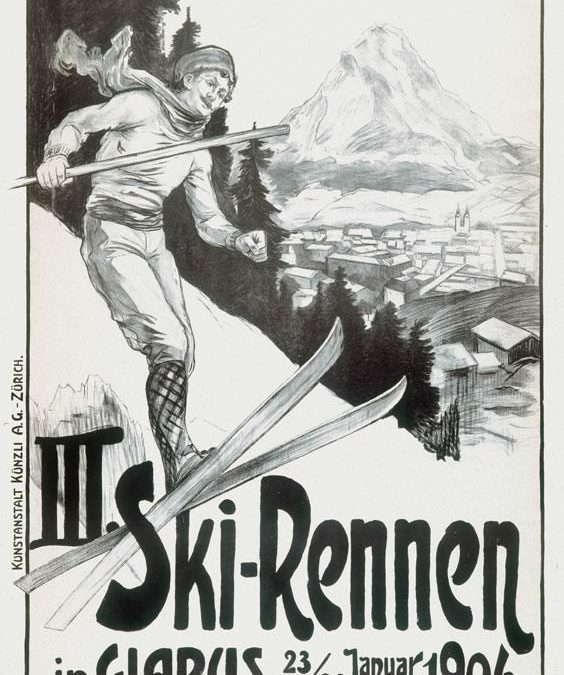 Towards the end of the century skiing becomes popular in the Alps. It is practically a simplified version of what we know today, and it is adopted everywhere, especially in French speaking parts of Switzerland. It is also there that the concept finds its name: ‘Apres Ski’, which means literally ‘after ski’. It then moves from homes to fancy establishments. The first official ski club was born in 1893, the mythical and legendary ‘Ski Club Glarus’. As this point tourists from all over Europe started to flock in the cold season giving birth to a whole new culture: the culture of skiing. While inside the cold and tired winter enthusiasts would eat hot potatoes to absorb the plentiful supply of strong spirits, and men would invite ladies for a dance at what were called a ‘tea dance’ (except they would drink everything but tea). It is now that music enters the big scene of the après ski. Born from the need of staying alive the party is now in full swing! Although skiing has made its way across the Atlantic and entered America the aprés ski is very different from it’s European precursor. To get a good nights sleep and to anticipate the climb that awaits the next day is of higher priority here. After World War 1, St Anton in Austria set the new aprés ski standard by introducing the idea of “Gemütlichkeit” (meaning “coziness” or “friendliness”) for real. The celebration of the love for skiing and the joy of being together is the new game and this time with local products such as beer, mulled wine and pastries, and live music as a part of the experience. Today ‘Après Ski’ has made its way into our mountains and our hearts. From German Schlager to rock n’ roll classics such as “Sweet Caroline”, from Aquavit to beer, and potatoes to french fries, we all run for a warm refuge, to drink, and dance after skiing. The passion for skiing keeps on being celebrated in a concept that has evolved and continuously reinvented itself over time. Long live the Apres Ski!